Is 50 too late for me to start saving for retirement? ‘Have I saved enough for life post-retirement’? ‘50 may be the new 40, but what’ll happen to me and my family when I retire in a few short years' time’? These are just two of the many questions that give people in their fifties sleepless nights about not having saved enough for retirement. However, there is always a silver lining. It just requires re-adjustments in choices and behaviour. Here, we offer some savings and investment tips so that you can enjoy life during your ‘twilight years’. This is probably the quickest and easiest way to begin. As the number of dependents fall, the need to update physical assets (house, car, white & brown goods etc.) becomes less pressing. With that, your household expenses as a percentage of income should fall too, allowing for ‘extra’ money to be freed up for long-term investments. Secondly, by tightening the household ‘belt’, you’ll also get a good idea as to how much you’ll require to fund your lifestyle after retirement. 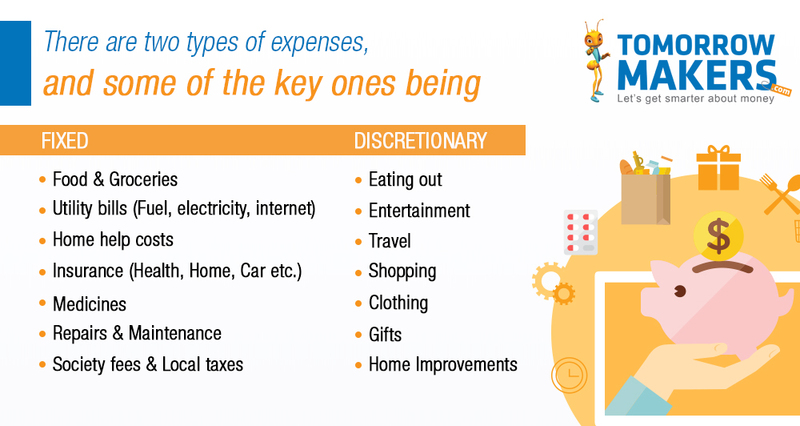 There may, of course, be lifestyle costs that you or your spouse insist as being necessary, but if your income is still rising when you’re in your 50s, don’t use the entire amount on discretionary spending. Instead, keep a large part of the difference aside to secure your long-term future. By the time you’re in your 50s, you should have cleared most, if not all the long-term debt you accumulated to give your family the lifestyle you wanted. Mortgages, car & personal loans should be paid off by the time you’re in your 50s. If you have taken out loans to fund your children’s education, you really should transfer the remaining part to them, as they will be in a position to pay them off through their own incomes. The money ‘saved’ from eliminating debt can then be re-directed to fund your retirement savings plan. Retirement doesn’t mean retiring from life. It just means your working career is over. So while you may plan for more holidays, on developing hobbies, or spending time with your children and their young families; you could also decide to work part-time, teach, start a small business of your own, or even continue working in a professional capacity in the industry you made your career in. Of course, if you are a ‘professional’, or own your own business, there’s no stopping what age you decide to actually put your feet up for good. Career professionals have it slightly more difficult, because there is a statutory age of retirement in many industries. The one thing you will need to ensure is that you remain on top of technical, technological and other developments in your chosen industry. Many financial and asset management companies allow you to ‘top up’ your existing policies. Another option may be to re-align your existing portfolio (and any additional savings you intend to make) in more risky asset classes, but not into the long-term. As your date of retirement approaches, you should re-allocate your corpus into balanced or debt instruments, as they are more likely to secure a steady income stream into the future. Ensuring health insurance for you and your spouse is absolutely essential. If possible, ramp up the coverage entitlement, so you don’t get caught short in case of a health emergency. In any case, having a separate savings plan for a rainy day, or to cover that unexpected health emergency, is also recommended. Once you’ve taken the steps required to fund your retirement plans even at this late stage, use aretirement calculator to see how close you are to meeting your financial and lifestyle goals. Websites of most insurance companies have one, so utilise these to understand if there are any further tweaks required in your planning exercise. Many amongst us aren’t financially savvy enough to necessarily follow all the steps, or understand the implications of re-aligning one’s portfolio. It is therefore always advisable to discuss how best to achieve your goals with a certified financial advisor, or a trusted friend or family member who understands your needs, and can advise you on the best course of action.